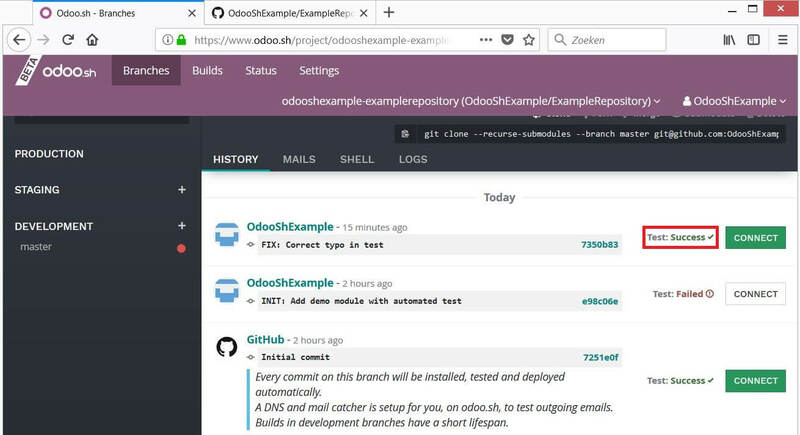 In this tutorial I will learn you how to setup an Odoo.sh account, how to configure Odoo.sh and how to tests your code automatically with Odoo.sh. 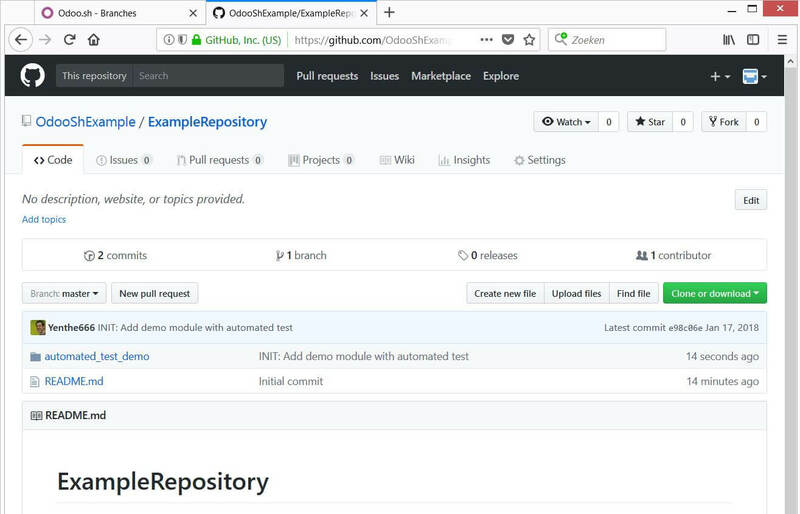 In this example I will create a new account, create a new repository and add code to the Github repository in order to explain how Odoo.sh works. 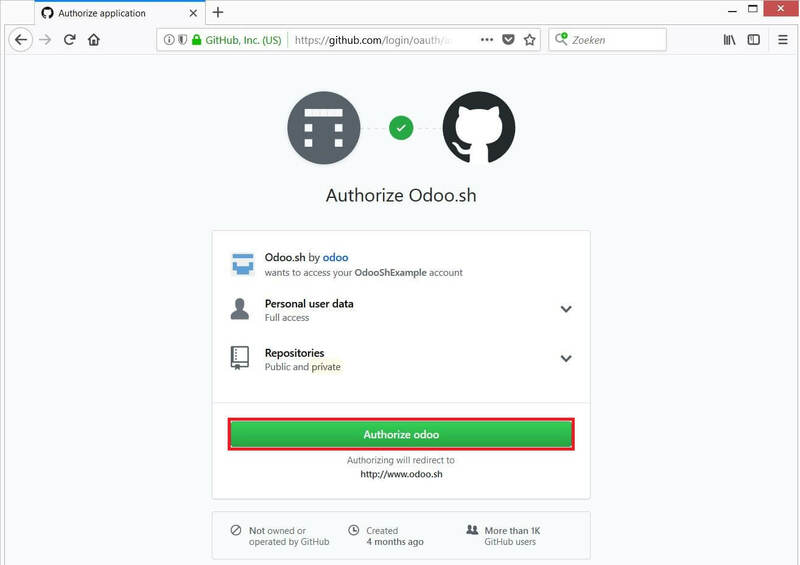 After you click on “Authorize odoo” Github will ask for additional permissions. Click on “Authorize Odoo” again to give the additional permissions. Because of these additional permissions Odoo.sh can follow all changes and handle it automatically for you. Thats it! 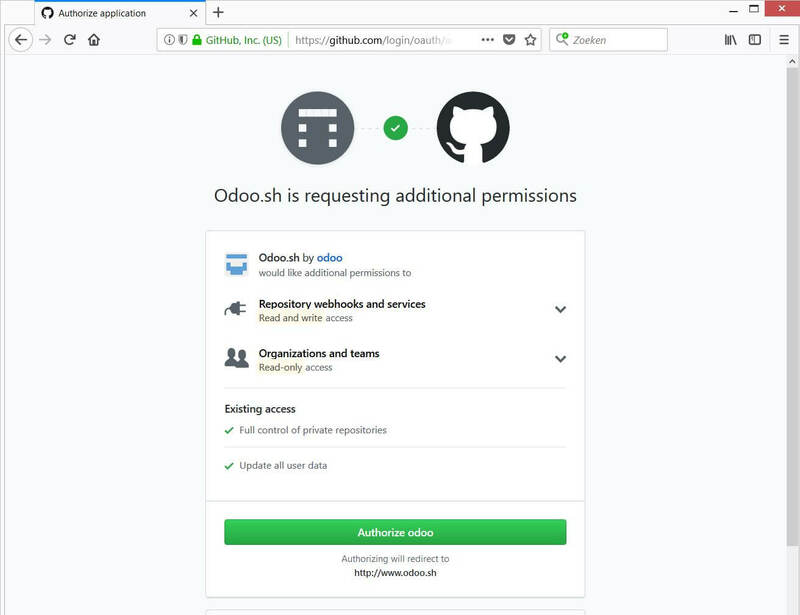 You’ve just registered your own Odoosh account and connected Github to Odoosh! 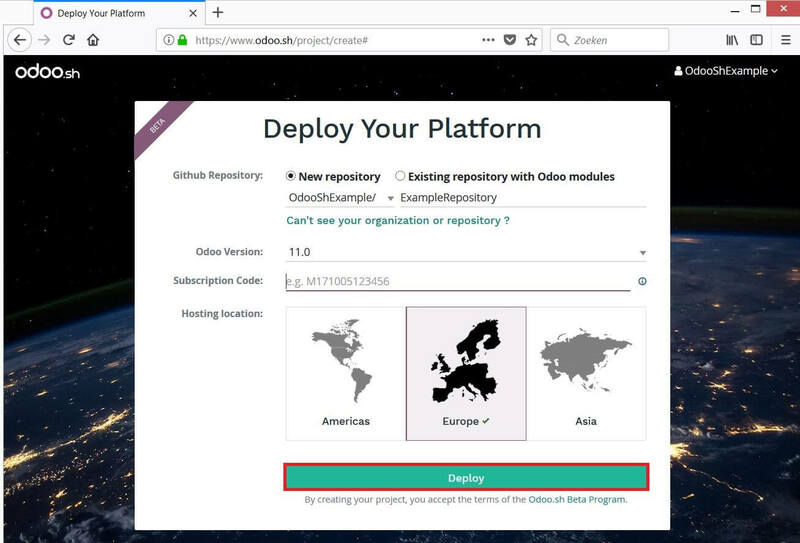 After you’ve clicked on “Deploy” you’ll now see the main screen of Odoo.sh. In the left menu you will see the title “DEVELOPMENT”. Under this section you will see every branch you’ve made on this Github repository. If I would create a second branch named “11.0” I would see “11.0” and “master” in the left menu. At the top you’ll see a main menubar with the options “Branches”, “Builds”, “Status” and “Settings. The Branches tab opens the main page, from where you can see everything related to your branches. This includes the mails, shell access to the test instance and access to the logs. The Builds tab opens a page where you can see all your test instances. This is almost identical to the Odoo runbot (at runbot.odoo.com). The Status tab opens a page where you can see all the statistics of the Odoo.sh platform. It shows you the uptime and the status of all the servers. The Settings tab opens a page where you can configure advanced settings. You can add collaborators, set a project name (and URL), add submodules and much more. 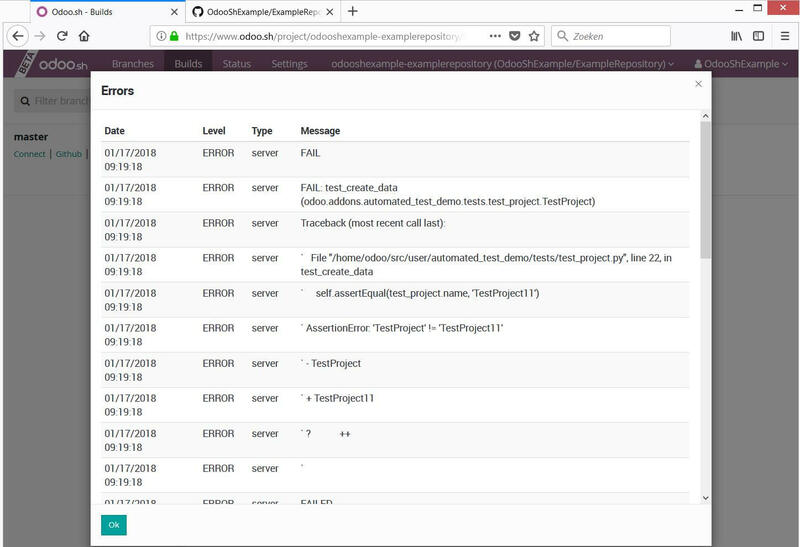 From this page you can directly connect to a test instance in order to test functionalities or ‘play’ with Odoo. Tip: If you want to see the full log of the instance you can do this by clicking on the “…” icon at the top of a build and selecting “Logs”. From here you can download and view all logs. Alternatively you can also do this from the “Branches” page by clicking on the “Logs” menu. As Odoo.sh is very big and has a lot of options I’ve decided to split the content in two tutorials. Because of this the first blog post, this one, is only about basic operations. You can find a second tutorial about how to configure public and private submodules here. Odoo.sh is a very powerfull platform to use. 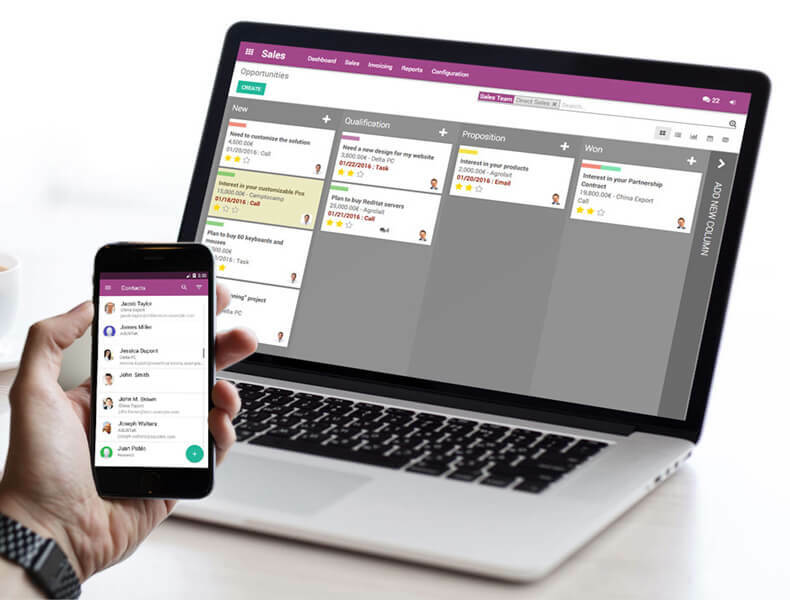 Odoo has invested a lot of time into Odoo.sh and due to this it is an advanced system that allows you to quickly (and easily!) use test instances with Odoo. Thanks to Odoo.sh you no longer need your own runbot instance and complex hardware setup as you can get it all out of the box.